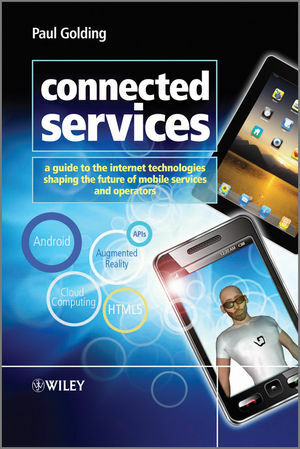 In this book, the author explores the underlying technological themes that underpin the new era of connected services. Furthermore, it explains how the technologies work and what makes each of them significant, for example, the potential for finding new meaning in data in the world of BIG DATA platforms, often referred to as “No-SQL” databases. In addition, it tackles the newest areas of technology such as HTML5, Android, iOS, open source, mash-ups, cloud computing, real-time Web, augmented reality, and more. Finally, the book discusses the opportunities and challenges of a connected world where both machines and people communicate in a pervasive fashion, looking beyond the hype and promise of emerging categories of communication such as the “Internet of Things” and “Real-time Web” to show managers how to understand the potential of the enabling technologies and apply them for meaningful applications in their own world. Paul Golding has over fifteen years experience in the wireless and mobile technology industry. Paul runs his own consultancy company Magic E Company and is currently consulting in the area of IP Multimedia Subsystem (IMS) and Push-to-talk over Cellular (PoC). He has worked as senior consultant within Motorola's newly formed mobile applications team involving numerous encounters with operators globally and with numerous mobile applications vendors. He also has a popular blog which features a series of 100 Mobile Ideas, which has been followed by various industry participants, including prominent companies (e.g. Yahoo, Vodafone, O2, Etisalat).